I remember the moments of joy when things felt normal. Whether it was taking a walk on a nature trail or having a conversation in which my mom shined through. I also remember the moments when the loss was so noticeable I had to leave the room to avoid puddling into tears. I was the daughter. I can only imagine the intensity of loss with a spouse. Finding a way to manage the journey for everyone is the most difficult challenge for both those diagnosed and those acting as care partners. It’s easy to get distracted by trying to reach for a destination, but as I learned, I needed to be in the moment, not charting out what’s next. That can be difficult in our world that has evolved to an “always on” mentality. I still have to remind myself of this with my friends and family. This is just a note to be kind to yourself. I made many mistakes, and most likely, you will too. However, there are many individuals that have no one by their side helping them. It’s not an easy road and your loved one is lucky to have you on this journey with them. Be kind to yourself. Reminded. It’s nice to get recognition. 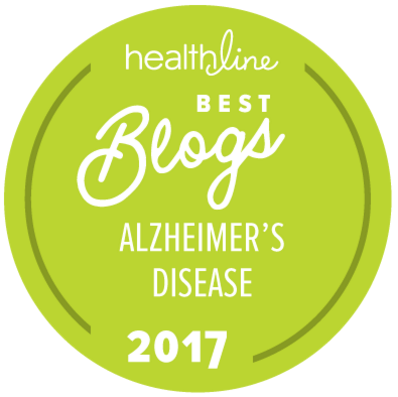 For a fourth year, Healthline has selected Dealing With Dementia one of the Best Alzheimer’s Blogs. I started this blog for many reasons. One was to provide my siblings with insight into the issues I was facing as the only adult child living near my parents. But then it became a way for me to digest what was happening and dissect how I was dealing with it. I have lots of “mea culpa” blog posts. Turns out I finally figured out I learn by doing and I made a lot of mistakes. Since I’m not one to miss a golden opportunity, I will use this to remind the readers that Alzheimer’s is just one of the five primary types of dementia’s — as shown in the image. It is the most common based on the number of diagnosed cases, but I also know that many individuals are never diagnosed. 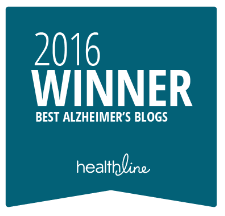 Its been more than two years since I cared for a family member with dementia. Today I work with a variety of individuals and families who have been diagnosed and continue to learn how to be a better care partner. For a full list of the winners, You can visit Healthline. I am honored to be recognized again for this honor. Encouraged. I was really frustrated when I knew that my parents were having trouble managing their household but refused to accept any help. They did not recognize they needed help which is very common for people diagnosed with dementia. And I also recognize I probably came in too strong. As the disease progressed, my parents started asking me to help. I had backed of and started visiting without an agenda. When asked, I would work in tandem with them or would accept the assignment and transition to a new topic depending on how they presented the task. If we started to work on a task and they grew fatigued or anxious, I would usually ask if we could take a break and go get a cup of tea or take a walk. I had to change so I adapted. You have probably heard the expression “meet them where they are” but while it seems so simple a concept, it’s often hard to adapt a familiar pattern. 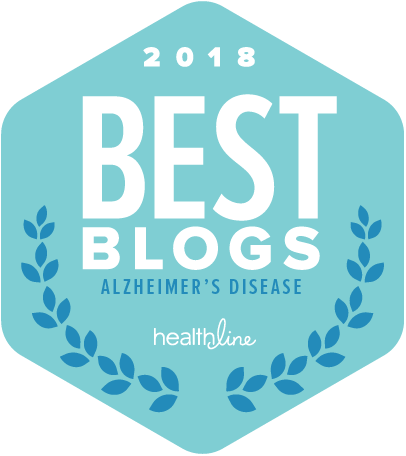 As I adapted to be a better family care partner, I started to recognize all the things I was losing. That helped me recognize how difficult it was for my mom and dad as they were also loosing to the disease. As I work with others diagnosed with varied forms of dementia, it’s much easier for me to meet them where they are. I now see how easy it is to work with them to pay a bill, organize tax papers, and even help them plan for an upcoming luncheon they have attended for years. My hope is that they can enjoy where they are a little longer. Learned. Living in the DC metro area has made me numb to politics. However, stories like the recent one FCC threatens carriers with ‘regulatory intervention’ over robocalls are hopeful. However, that means there is still a lot of scammers out there making calls and reaching our loved ones. And too often they are very successful — which is why they keep calling. The tools I implemented in my own home as well as for my clients no longer work. Many of the calls are sneaking through the protections that used to be so effective. The reality is that now the ONLY defense is to NOT ANSWER THE PHONE. If you don’t recognize a call, let it go to voicemail. When you listen to voicemail, be careful to discern who is legitimate. That part is tough. What I see in the homes of my clients that are isolated is how excited they are to hear a ringing phone. Regardless of my recommendations, they generally just answer. The insult to injury is how difficult it is to contest and win the credit card charges when we later find out which ones were successful. The phone scammers are smart and crafty. Don’t answer unless you know the caller. Never give out ANY of your personal information. Don’t give anyone your Credit Card numbers over the phone. Sometimes, all you can do is work to help defend those that need help. Please let me know if you have any solutions that are working for you and your loved ones now. Interested.